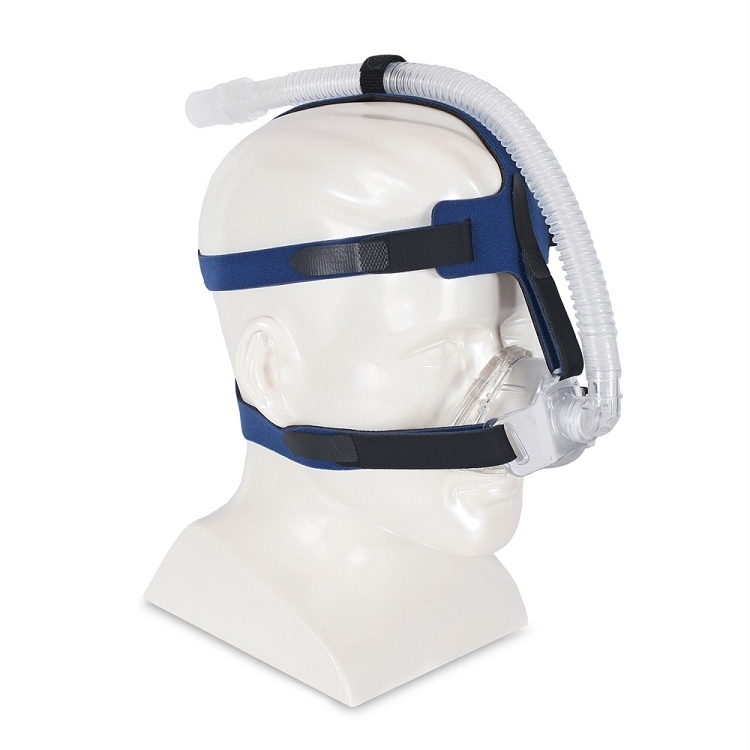 The IQ Nasal Mask has a completely adjustable sealing surface providing an individually tailored fit in seconds. Molded in the flexible shell is a pliable ring which can be shaped quickly and easily to conform to facial contours. This unique feature, combined with our award winning gel cushion, provides total adjustability and superior comfort in a smart, new design. The IQ features a swivel tubing connector that quietly diffuses exhaled CO2. The tubing can be rotated 360ø. 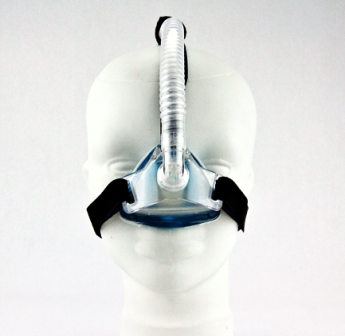 The mask is smaller than most nasal masks available. 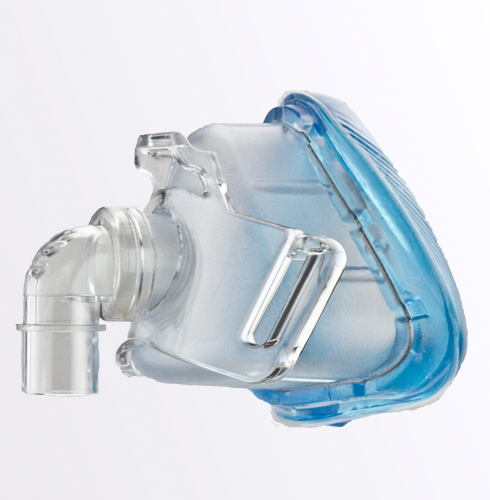 The headgear connector on the mask makes attachment and removal simple. Based on market research and patient feedback, the IQ features a 3-point connection for greater stability and a wider range of fit. The connector rotates 180ø for a 2-point connection to provide a clear field of view; simply rock the headgear connector away from the shell, rotate 180 degrees, and press the connector back against the shell. I have used the Sleepnet gel mask for many years. The earlier ones had seams that split and I had to tape them to extend its life. The new ones are much better. I do use a bit of cushion tape on edges that irritate me. The wire in the mask gives me a leak proof nights sleep. awesome! the best fitting mask i've had. no chance of air leaks. very comfortable. the only problem is durability. after several months the gel cushioning irretrievably breaks down.